If you look for professional and fast cleaning of your home, office, rented flat, electric appliances, furniture or carpets, you have come to the right place. Tom’s Cleaning Services offers various cleaning services, done by experienced and qualified cleaners with the help of modern and powerful machines. They will improve the quality of the air and the hygiene in your rooms, removing the dust, dirt and soiling from them. 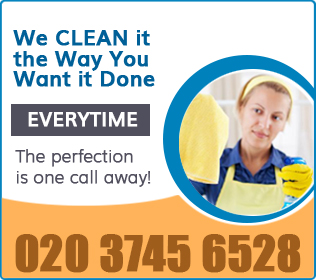 We offer many cleaning services in Earls Court SW5, implemented at a suitable for the customer time and day of the week. You can order our cleaning services and save the time and efforts you would spend. We can sanitise the flat which you have rented or intend to rent out, clean your home thoroughly before and after some special occasion, provide regular domestic and office cleaning. There are a number of services for you to choose from, some of which are available one off, others – on a regular basis. Our cleaning personnel can make your property sanitised from top to bottom. Order the cleaning services which you need for you domestic or business estate, located in Earls Court SW5 and we will provide them. If you don’t have the necessary time and cleaning supplies to ensure the impeccable condition of your home, office, rented or commercial property, you can count on us. We offer a large variety of cleaning services to the SW5 Earls Court residents, done according to the customer’s demands. Save your time and leave the cleaning and housekeeping work that you have to the professionals in our company. They are at your disposal whenever you need their help.